Learning how to shoot accurately is part of firearm handling safety. It doesn't matter if you are a hunter, shooting for competition or have a gun for self-defence is important if you know how to shoot accurately. When you are out for hunting, you want to make sure that every shot you make counts. You don't want to keep missing your shots when you are targeting a small game or big game. After all, you want to bring home some catch after spending some time in the woods. Shooting accurately is not a hard thing to do especially if you train well. Missing your shots can be painful but wounding your deer and then it gets away is even more stressful. This is why you need to know how to shoot accurately when hunting. I will provide you with some essential tips that will help you to shoot accurately when hunting. One of the main reason why many hunters end up missing their targets is being unfamiliar with your hunting weapon. Not only should you know how to shoot accurately but also familiarize yourself with on how to unload your rifle, safety location, and the trigger pull. You should also make sure that you are using the right ammo because most rifles give more or less accuracy depending on the type of ammo that you use. Your rifle scope should be quality just like your rifle. If you want to get fast target acquisition and make accurate shots, then you need to invest in a good rifle scope. Having a good scope will help you when you are shooting in low light conditions. On top of that, a quality scope will help you have precise elevation and windage adjustment. Maybe the main reason why you get inaccurate shots when aiming at your target is dirt on the barrel. Cleaning your rifle barrel will significantly increase the accuracy of your rifle. Unload your rifle and then check the muzzle in the sunlight. When you see that there are some copper shining, you need to clean the barrel. When there are too much powder residue and copper accumulated in the barrel, this will decrease your shooting accuracy. Of course, you don't want to breath when you are shooting because it leads to more body movement. You can control your breath and this will help you make more accurate shots. This is another important thing that will help you achieve accurate shots. Whether you are using a crossbow or firearm, you need to know more about trigger control. Squeeze the trigger gently and do not jerk it. Squeeze it with control and then observe the sight on the crosshair. If they move or wobble, then you should control the movement. You should apply pressure on the trigger when your target is within the kill zone. This is a common mistake that most hunters make. The best thing that you can do is to wait for the shot to be a surprise. Aim at your target and then apply pressure several times and finally, your gun will fire. Do not be afraid of the recoil because this is something that you can manage. The most important thing that you should know is that it can be hard to shoot accurately if you flinch or anticipate the shot. Before you head out for hunting, it is important to make sure that everything on your hunting rifle, crossbow or bow is working properly. You don't want to miss your shots simply because something is wrong with your hunting tool. Taking care of your hunting gear will help you know more about them. On top of that, you can get some good quality hunting boots that will help you make accurate shots. You should be steady when you are hunting so that you can improve your accuracy. You can do that with the help of a sling because it makes you steadier when you are holding a firearm. It is great if you check whether your rifle has loose screws. Check the bending screws that hold the rifle to the stock because they are crucial when it comes to the accuracy. You should tighten them depending on the specifications provided by the manufacturer. There are several mistakes that many hunters make when shooting which ends up affecting their accuracy. 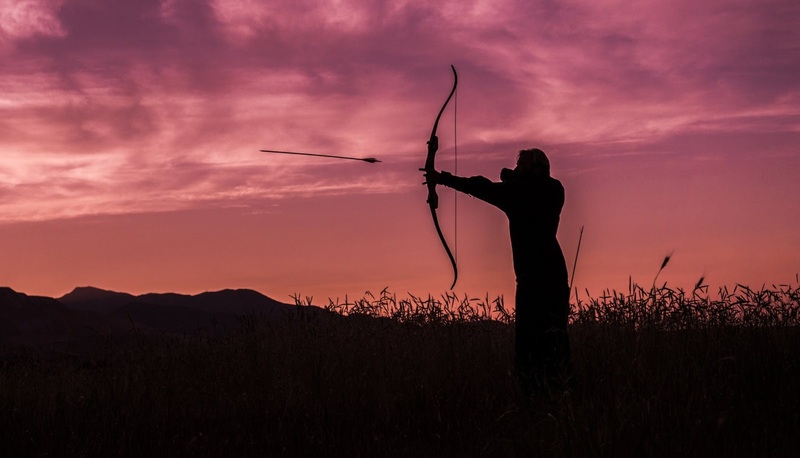 I believe after going through the above tips, it will be easy for you to aim and make accurate shots when you aim at your target. Remember that the more you practice, the better you become. With the above advice and tips, you can become a better shooter and make hunting enjoyable.